Description:Was $115; now only $40!!! Elizabeth Hoxie Joyner was the curator for the Vicksburg National Military Park (VNMP)and was very helpful to me on a visit there to photograph some cannon sights for another author. She has since retired but is obviously still very much involved in the park and it's history as her retirement has produced this comprehensive book. This is a self published endeavor. 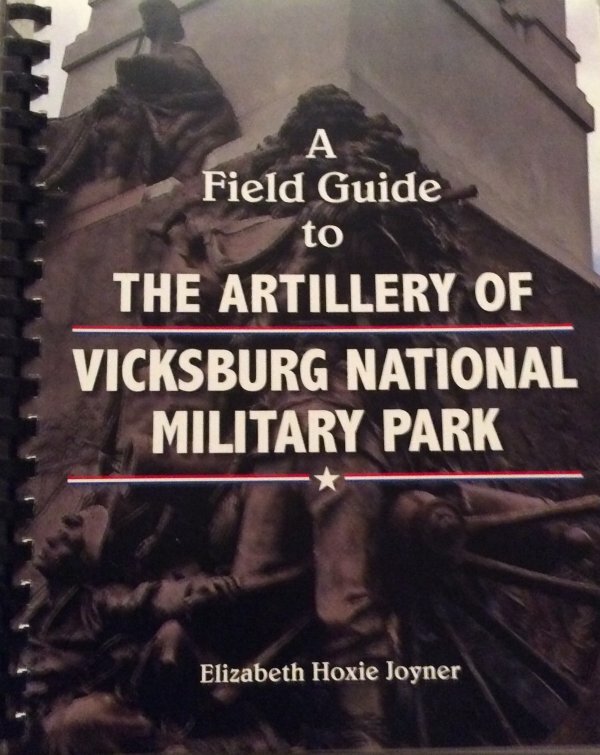 The book is 492 pages and color images are contained of each of Vicksburg National Military Park's 150 artillery pieces. Of the 150 there are 33 different types. The 47 day siege was a heavy artillery engagement which saw lots of variety in the cannons used and the park still boasts quite the collection on the battlefield. 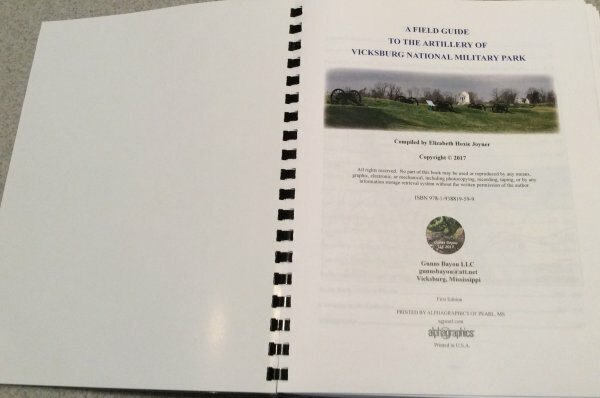 - The book is spiral bound and is designed to be carried into the battlefield and as such the cover has a durable plastic protection so that if it is placed on damp grass while out in the field, it can be wiped dry. 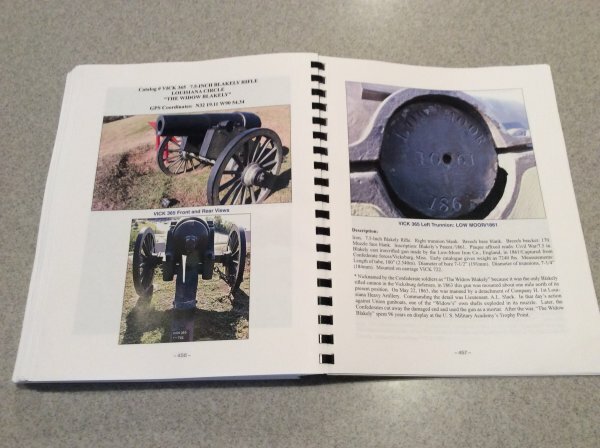 - The guide documents all 150 artillery pieces in the battlefield including the 13 aboard USS Cairo, those in the National Cemetery, Water Battery, Navy Circle, Louisiana Circle, South Fort, downtown Vicksburg and at the Vicksburg Convention Center. - Documentation of each piece includes GPS Coordinates to further aid the researcher in locating each weapon. - Historical information is included, when known, regarding the types and number of artillery pieces emplaced in each location during the 47-day Siege. - Artillery Inspectors initials as-well-as foundry markings and year of manufacture along with the weapon's imprint whether Union or Confederate or in some instances particular guns have unique imprints that are included in the documentation as well. 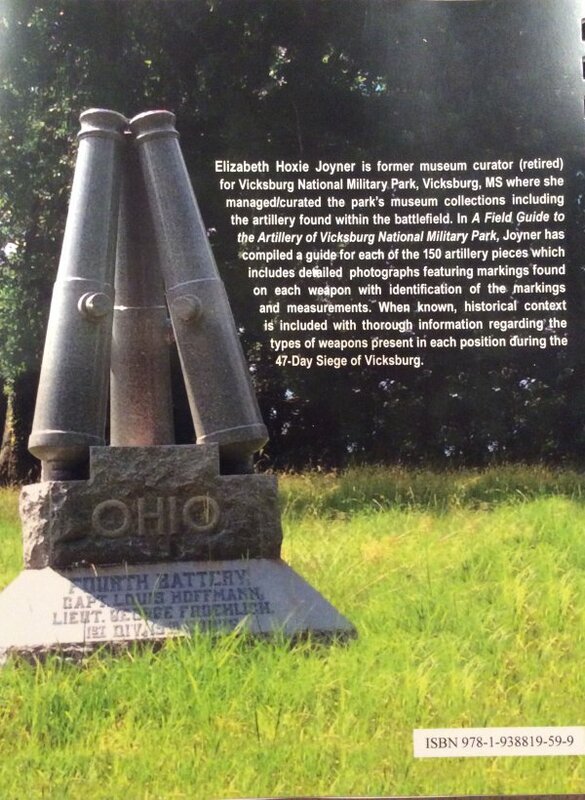 Measurements of each artillery piece are contained within. - The guide also includes a chart which gives a breakdown of artillery statistics that includes type, foundry, year, imprint, projectile type (shot, shell, case) and firing range. The oldest artillery piece dates to 1821.